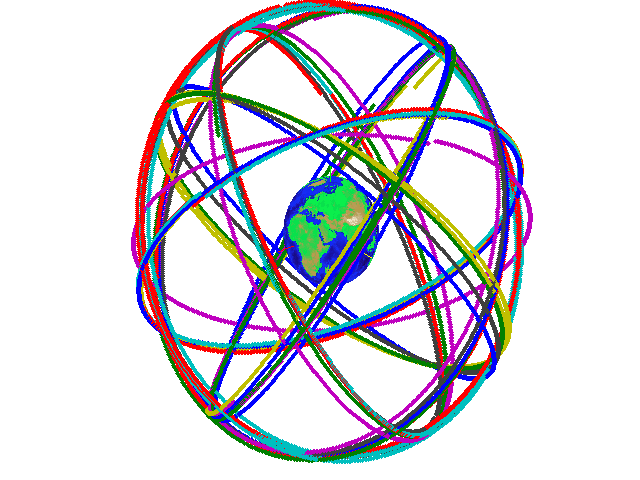 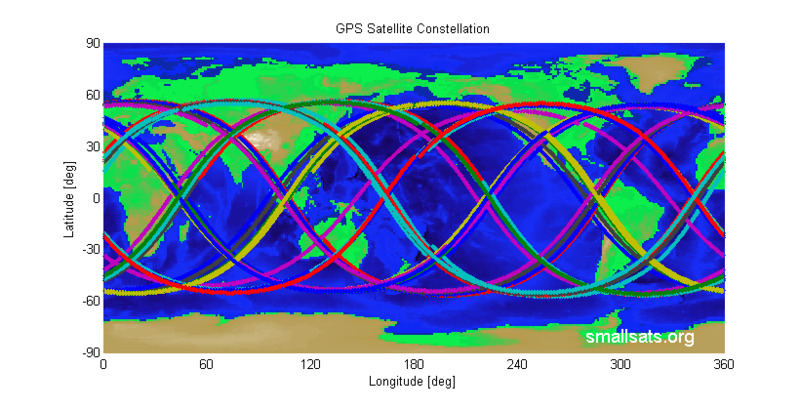 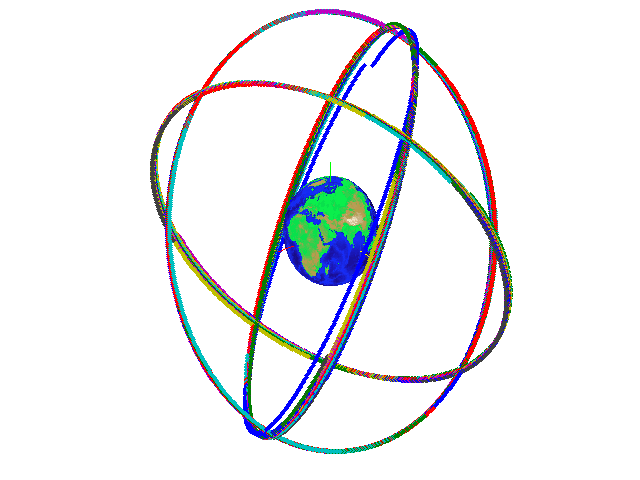 The Global Positioning System (GPS) is a space-based satellite navigation system that provides location and time information in all weather conditions, anywhere on or near the Earth where there is an unobstructed line of sight to four or more GPS satellites. 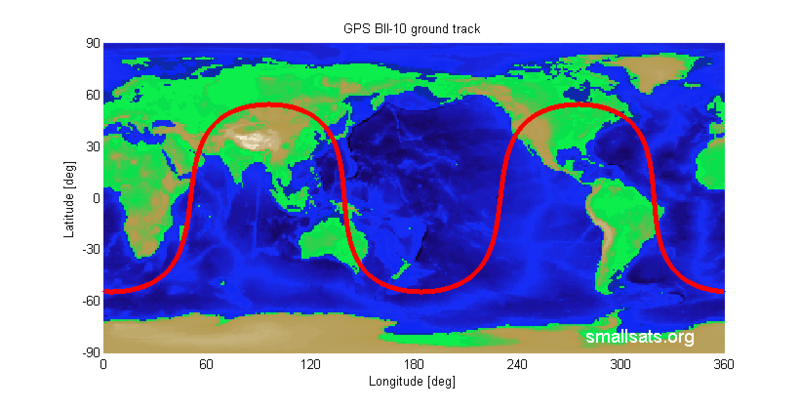 In this example we implement algorithm to plot GPS ground track. 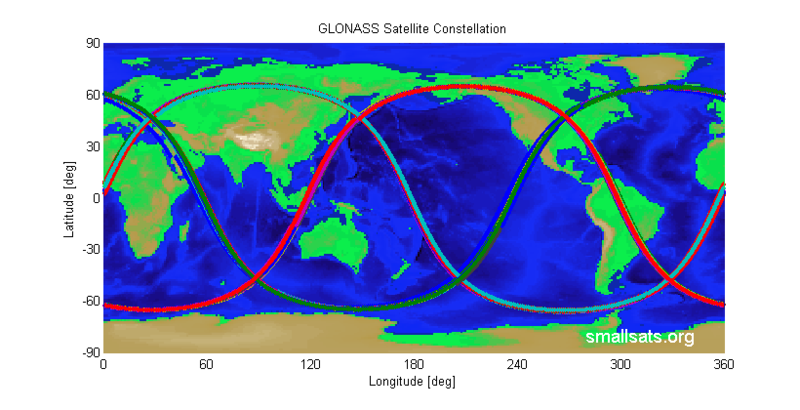 Same algorithm could be used for any satellite.